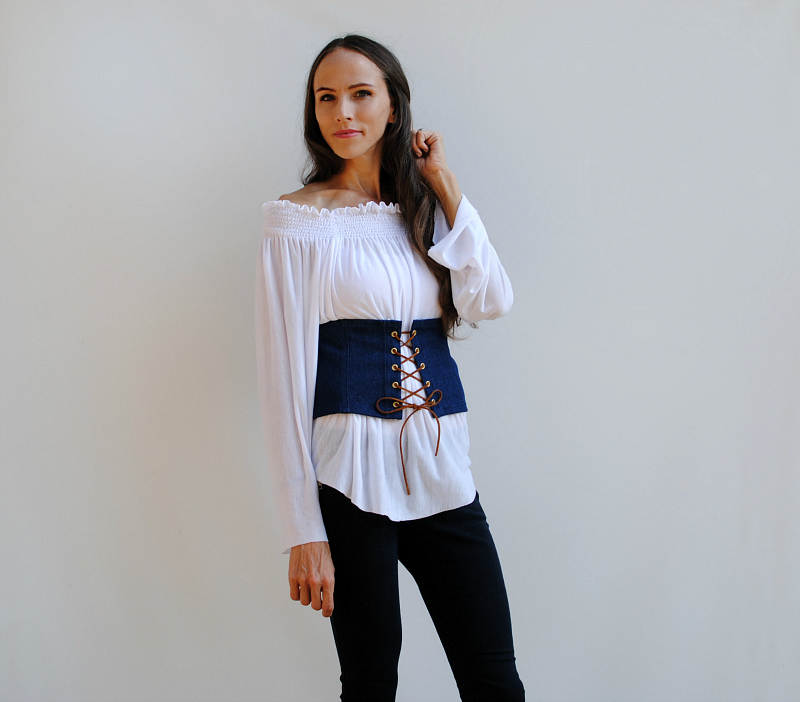 The corset trend is one of my favorites right now because of its historic background which dates back to the 1500's. Originally designed to slim the waist and exaggerate the bust and hips. 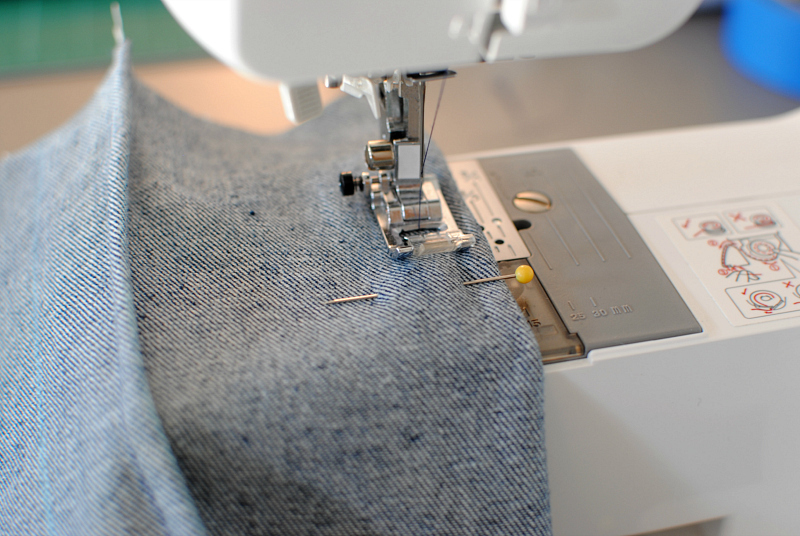 The construction of a traditional corset is a time consuming process done by a skilled tailor called a corsetmaker. This involves accurate measuring and materials like leather, metal, wood, and plastic for the boning inserted into the cloth of the corset. Now most of us aren't skilled corsetiers and nor do we plan to be. 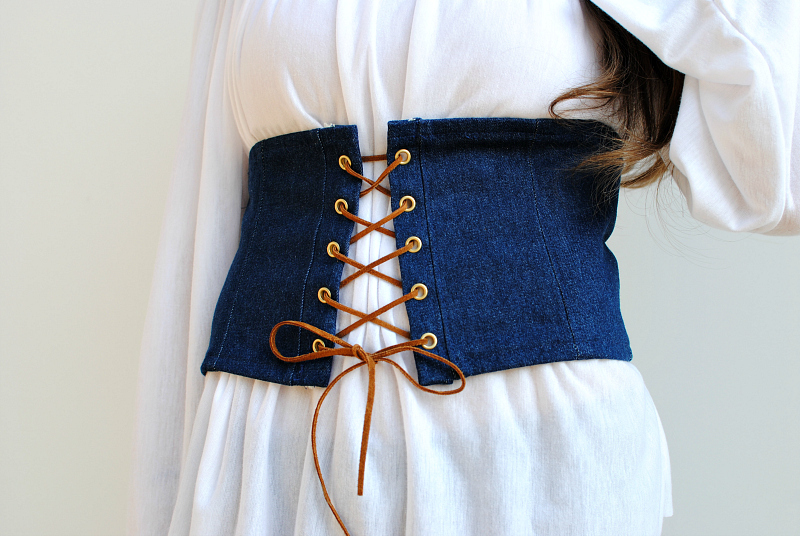 I just like the look of a corset as a fashion-forward piece to add to my wardrobe. It's a great addition to a baggy top and even for cosplay costumes (Halloween's coming). 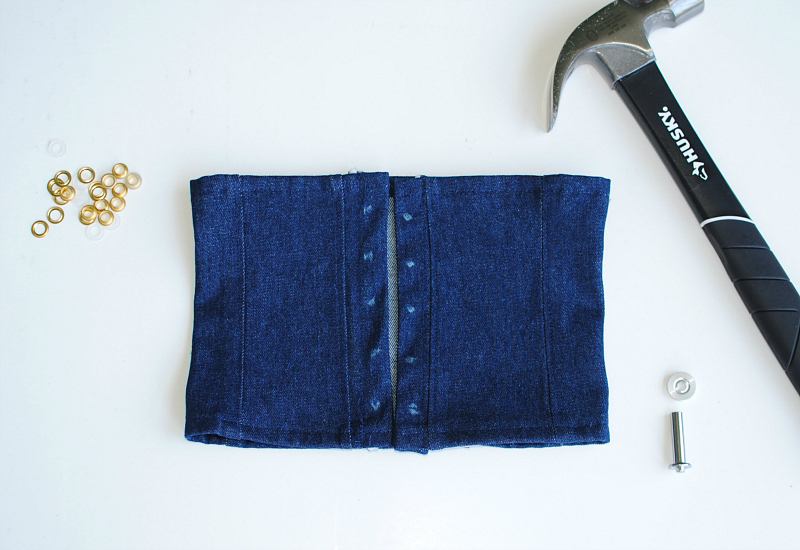 Dritz products make it easy to create your own custom corset using their 2-Part Eyelet Tools and Eyelets. 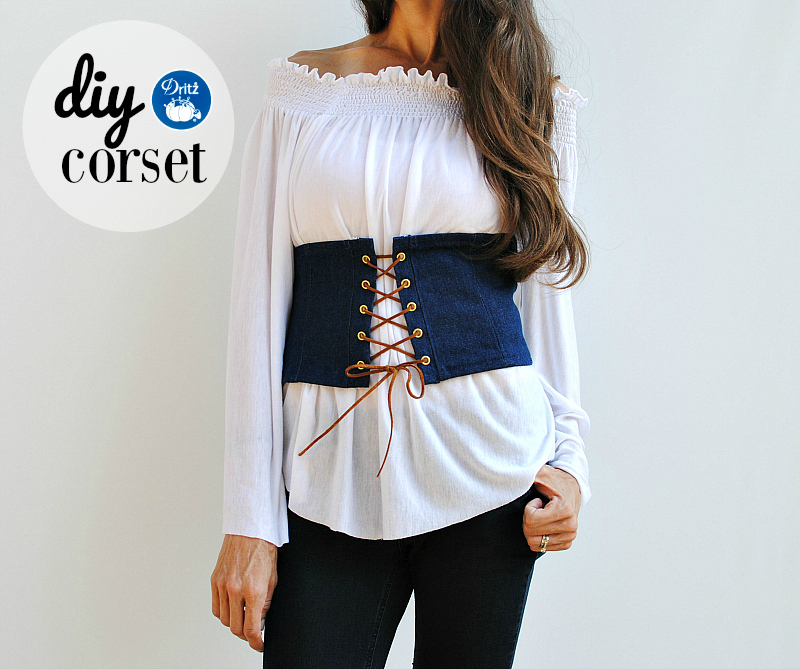 You can even try their Eyelet Pliers which I used for the vinyl corset. 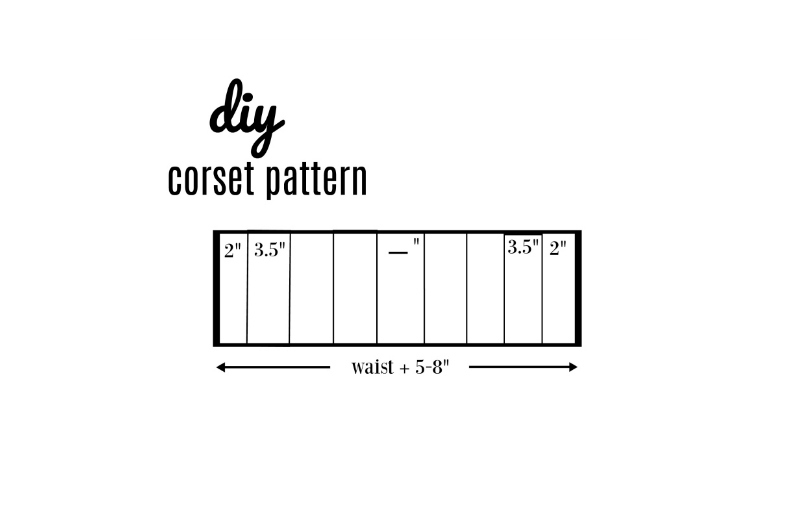 Get the details below and make your own corset. Dritz 2-Part Eyelets (I used the gold but they have silver and gunmetal too). 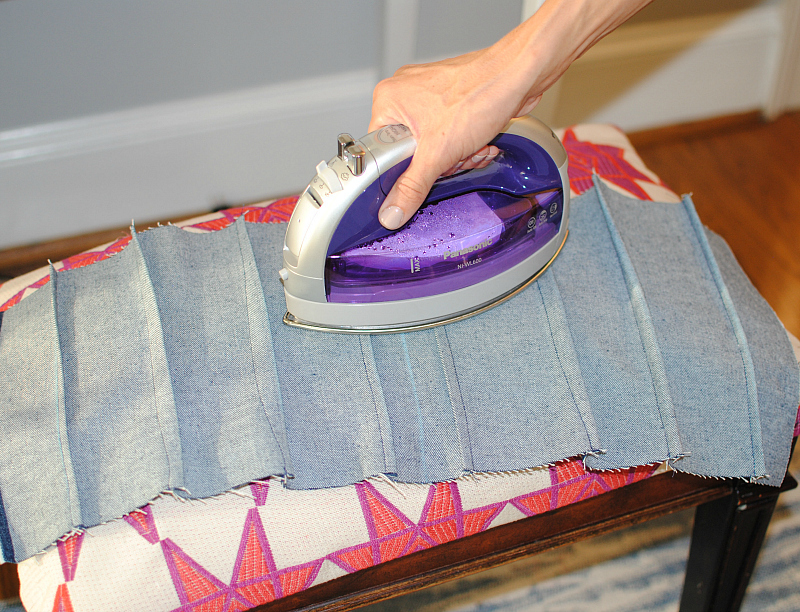 You will need a strip of fabric that measures your waist + 5-8 extra inches. The width depends on how wide you want your corset to be. 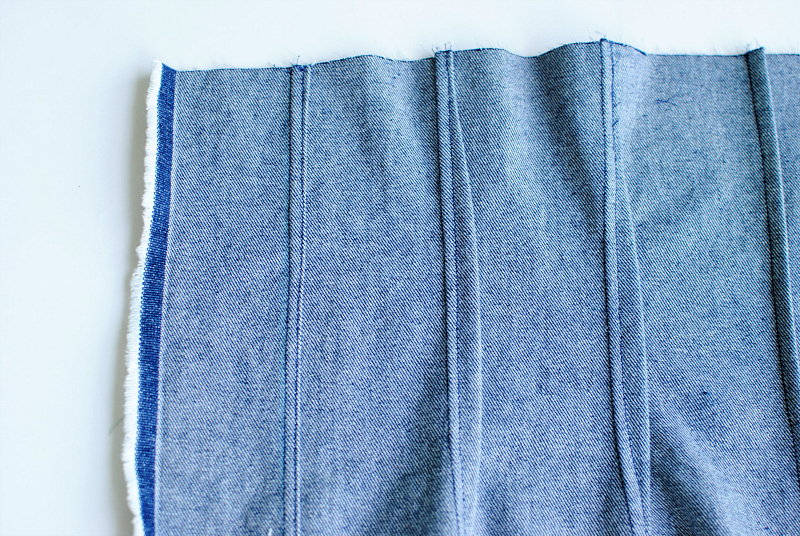 Mine was 6.5" when finished + 1.5" seam allowance (8" total width). The pattern above shows sections of 2" on each side and then 3.5" sections in between. The _" is the middle of the corset which will be the center back. This will be whatever measurement you get at the end. 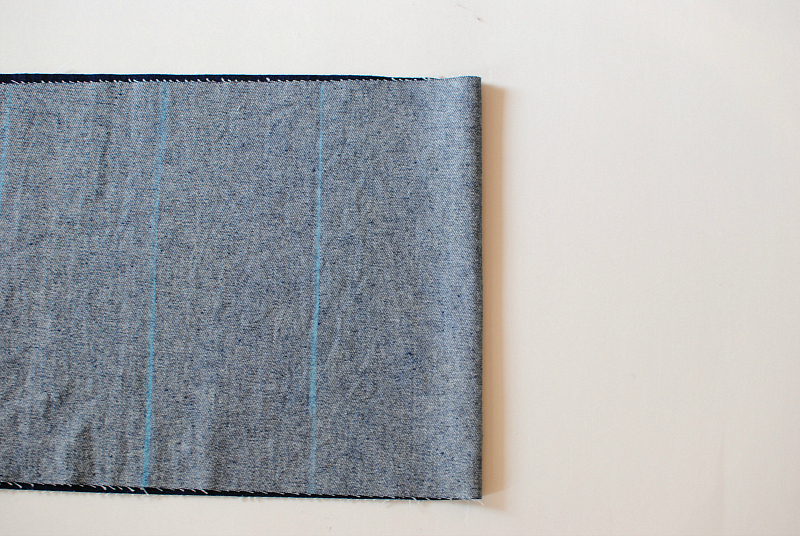 We're basically making an accordion with fabric by folding pleats and sewing them. 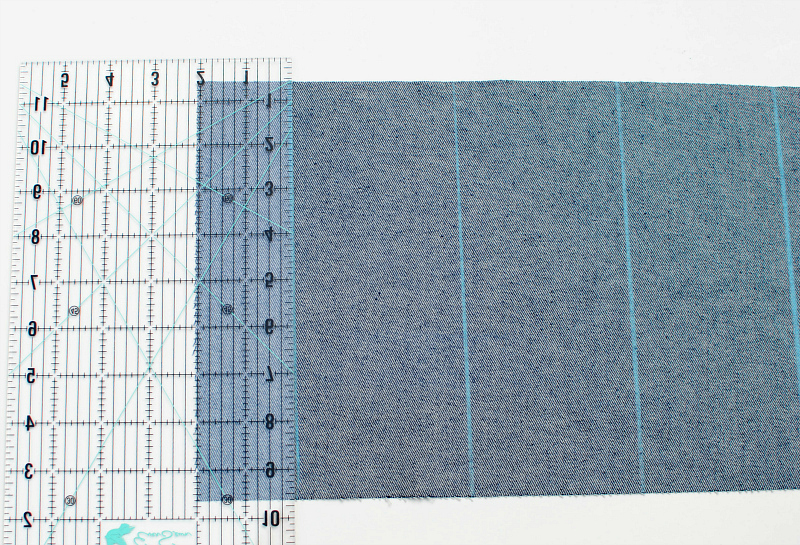 Begin by marking a line down the 1/2 way point of the fabric. Then mark 2" lines out from the sides. 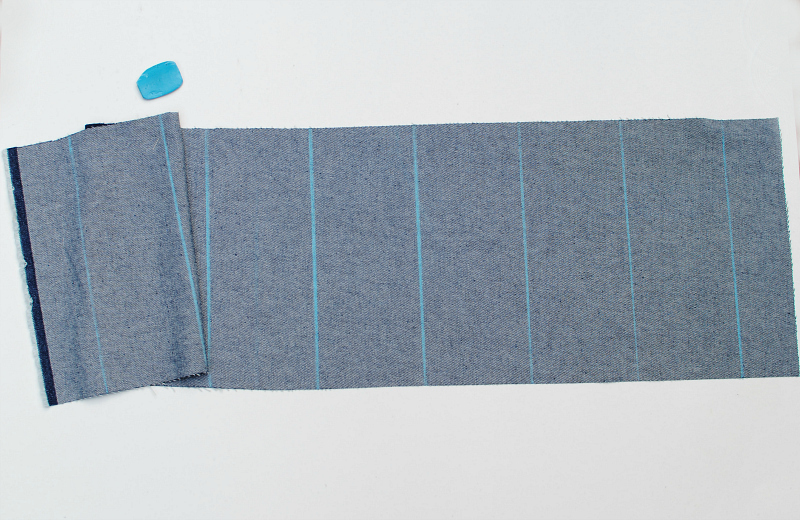 Be sure to mark on the wrong side of the fabric using tailors chalk or a fabric marking tool. Now mark 3.5" from that point till you get to the center. Repeat the same for the other side going to the center. Any remaining space you have left should be in the center. This measurement will most likely not be 3.5". You should now have 2 center lines. Fold either one so the marked line is the folded edge and right sides are together. 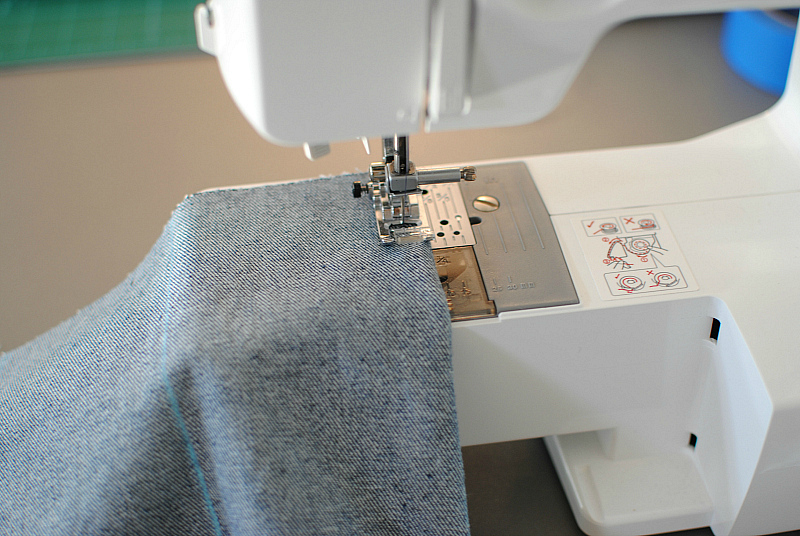 Pin or press flat and sew a 1/4" seam. 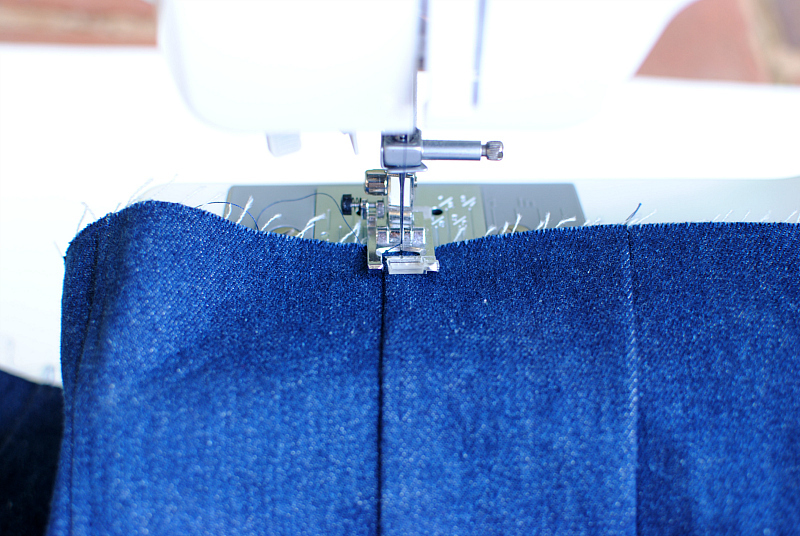 Sewing a 1/4" seam from top to bottom. Now repeat for the other center line (the mark in between mine is the half way point). The 2 center pleats are wear the arrow is. 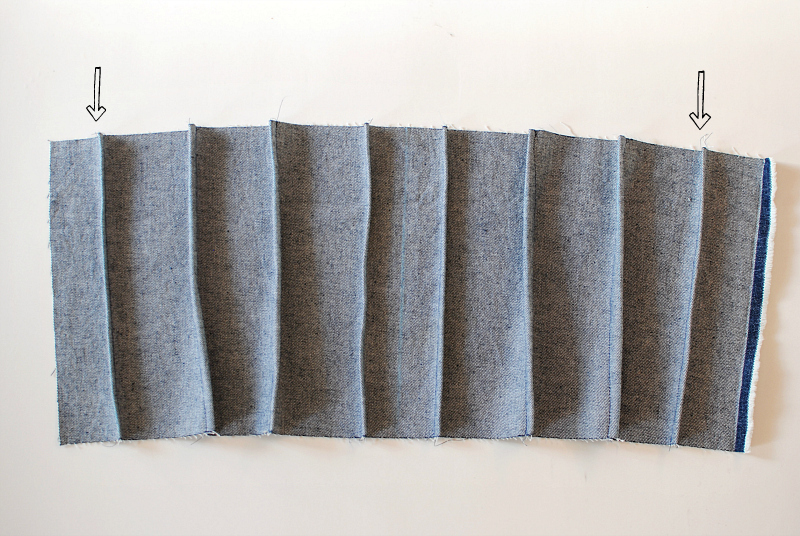 Now for the additional pleats we will be sewing a curve instead of a straight line. 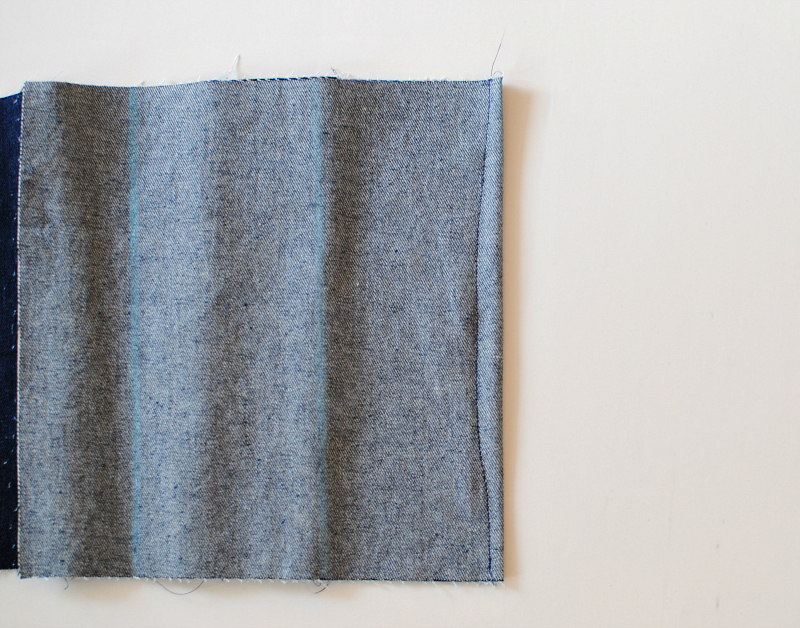 Fold again with the marked line as the folded edge but pin the half way point. 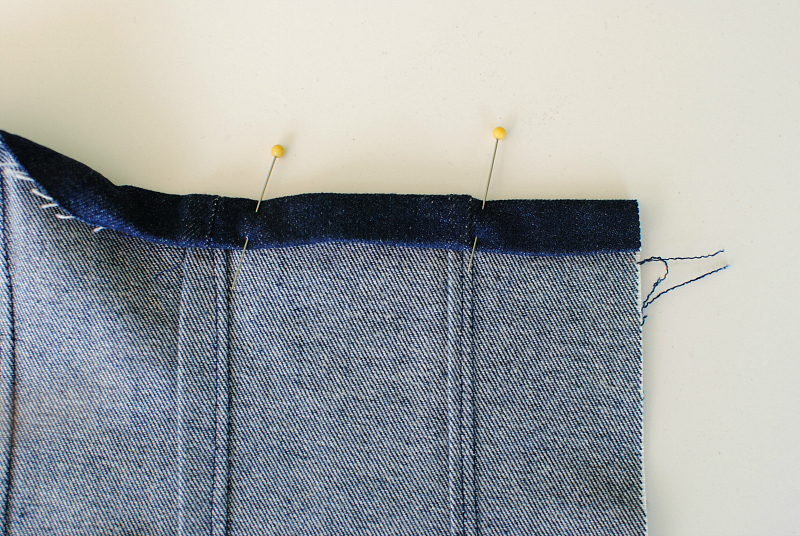 When you sew, do start with a 1/4" seam allowance and gradually sew out to about 1/2" by the middle point. Then gradually back to finish with a 1/4"...see below for the photo and you'll get what I mean. Repeat this for the rest of the sections until you reach the last lines marked on each side. For the last lines you will just do a 1/4" straight seam like we did the center (where the arrows are). Press everything nice and flat. The center folds should be going the opposite directions of each other. 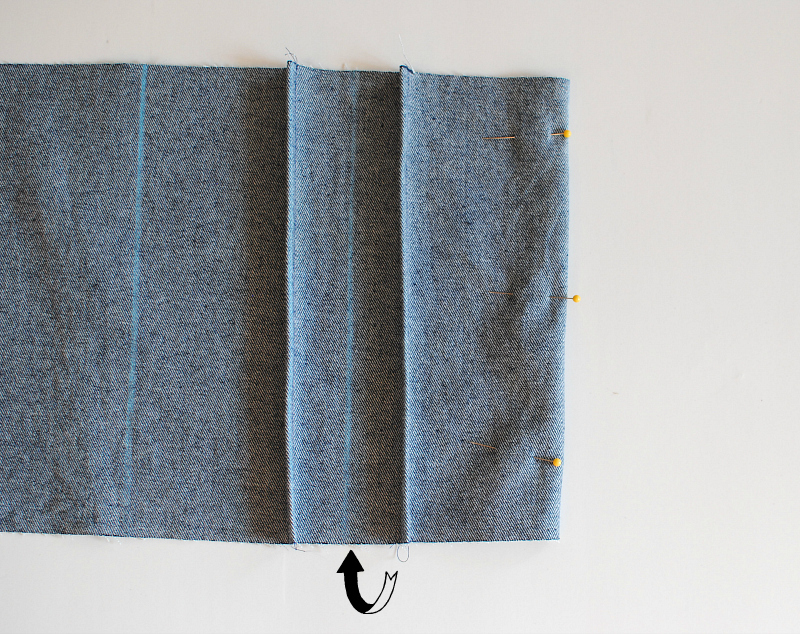 Press the remaining pleats so they align with the coordinating center direction. Hem the top and bottom edges. 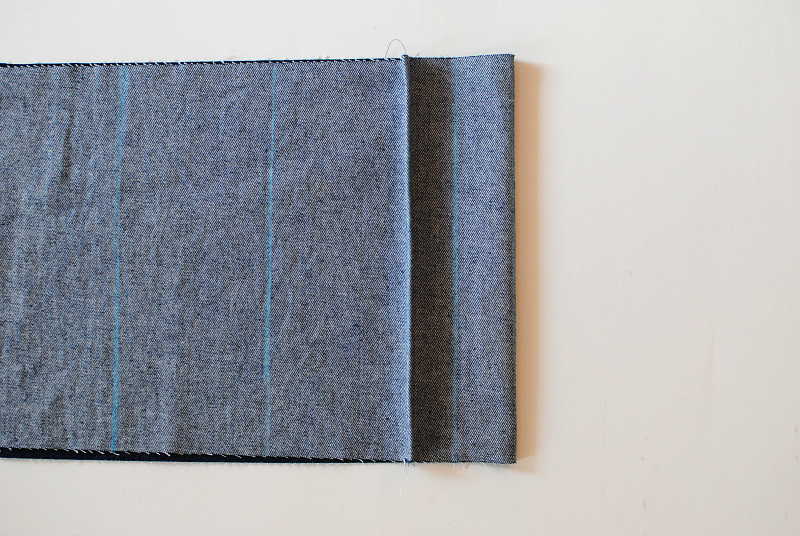 I folded a 1/4" over and then another 1/2" over, pressed, and hemmed into place. 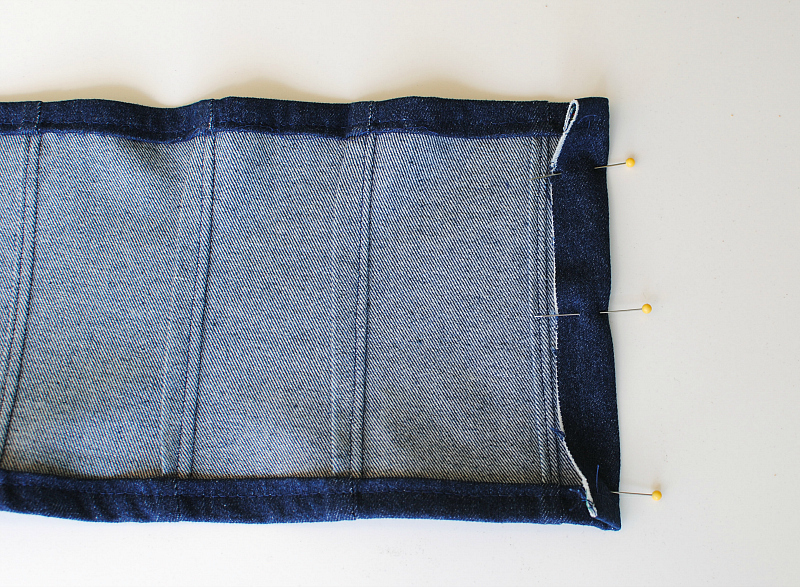 For the sides fold over 1" and sew into place. 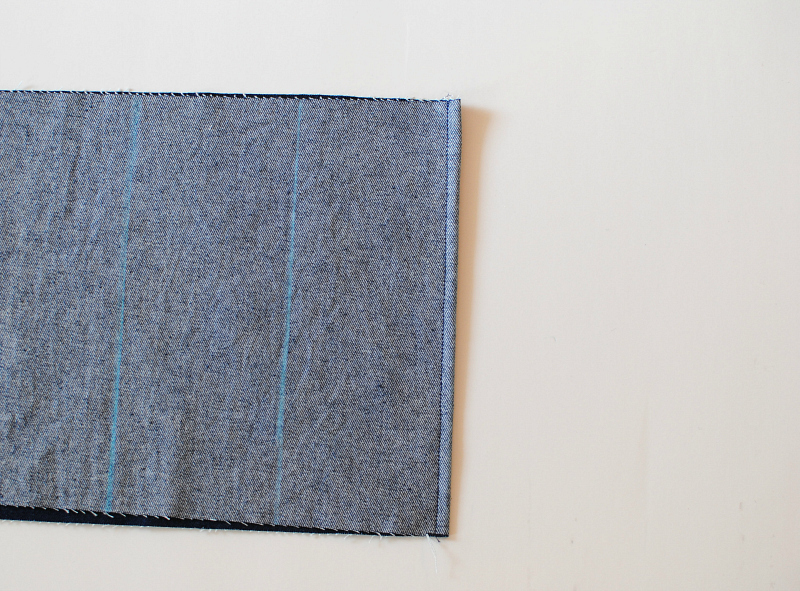 I did sew the raw edge into the seam. It should now look like this. Mark evenly where you want your eyelets to be with a dot of tailors chalk. Mine were spread about 1/2" apart. 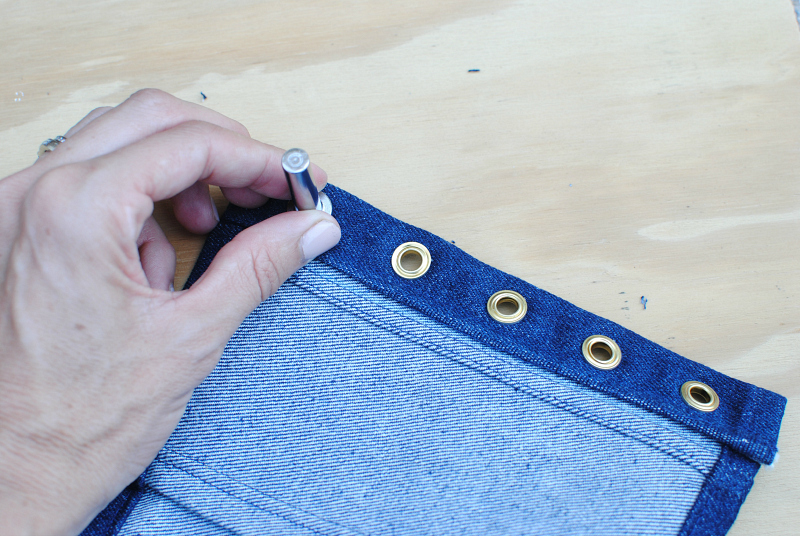 Use Dritz's 2-Part Eyelet Tools and eyelets to create the lace up front. For the vinyl corset everything was done the same but for the holes I used the Eyelet Pliers instead of cutting them myself. 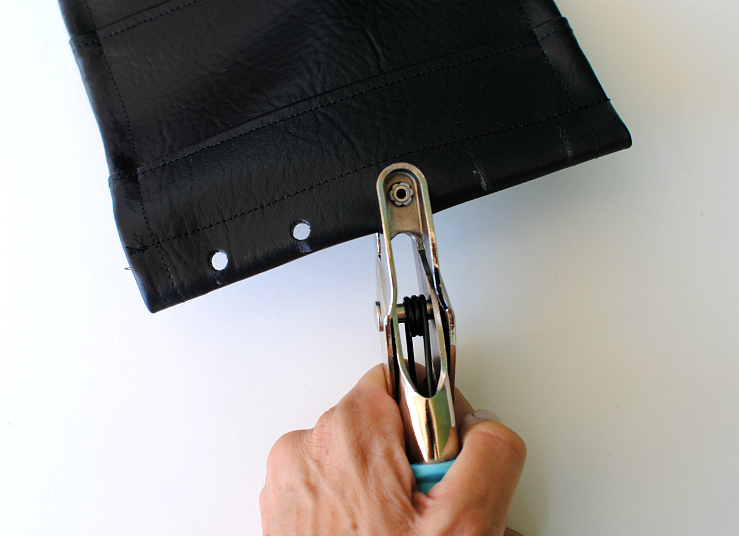 This is a great tool for leather, suede, and vinyl materials. 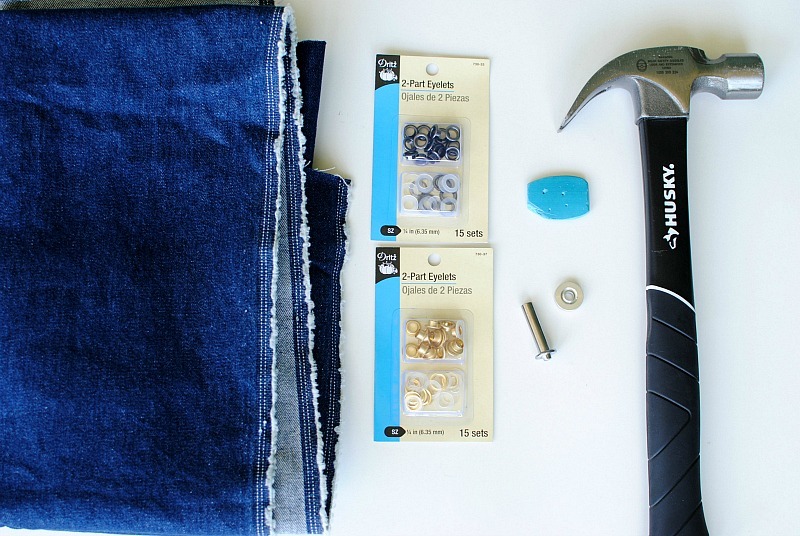 You can even apply the eyelets with these. Finish by lacing up with string or cording through the eyelets. Make sure it's long enough to lace through and tie into a bow at the end. Mine measured a full yard. I love pairing these with an oversized t-shirt or men's shirt. They also look great styled with a loose peasant top. It helps accentuate the waist and adds some edge to my look. Great for cosplay costumes as well (Halloween inspo). Nice dress, All dresses are looking too crazy. You should be a part of a contest for one of the finest blogs on the web. I most certainly will recommend this website! This article presents clear idea in support of the new visitors of blogging, that really how to do running a blog. 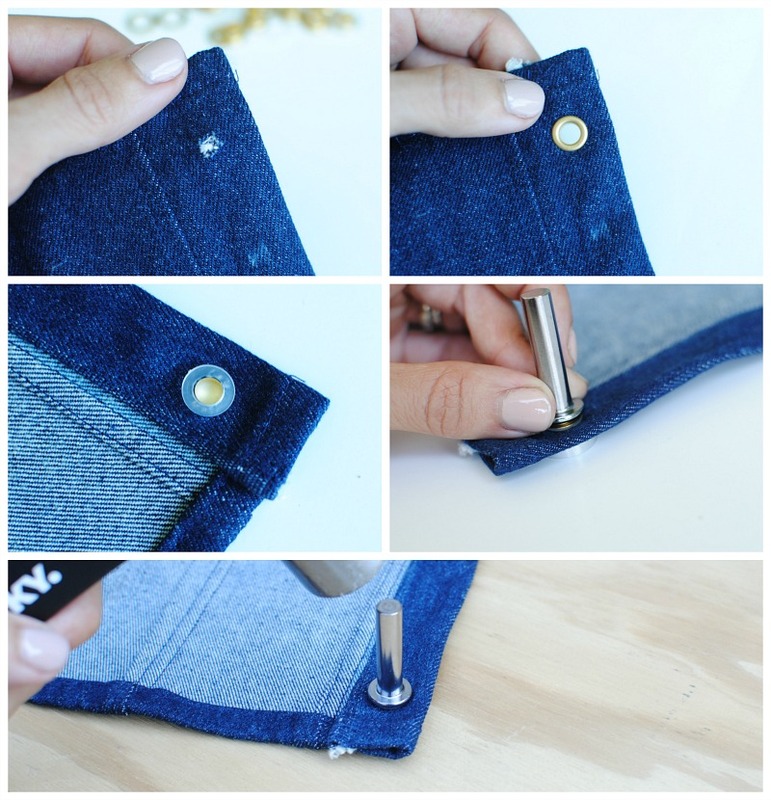 I love this idea <3 Thank you for sharing the tutorial! unique features inbuilt. I am very much addicted to play games over Xbox. And I have unlimited xbox codes to spare. You can also get access to unlimited codes from xbox xbox live membership and also free membership. Explore the mentioned website today. Really structured and useful writing my essay information. And everything is clear, thanks. I looked through some posts and must say, they are very interesting. Best regards, essay writer. You know corset style wedding dresses are the most chosen dresses among brides these days. When fashion trends never stray away from the figure-flattering silhouette wedding dresses, corset wedding gowns always fit into the latest fashion sense. Definitely. The fashion world is fickle, trends come and go just like weather but we are in the midst of a revival of the humble corset. Very unique design. thank you for sharing se how to do.